Notably, India ranked 130 among 190 countries on World Bank’s Ease of Doing Business ranking for 2017 released last year (2016). 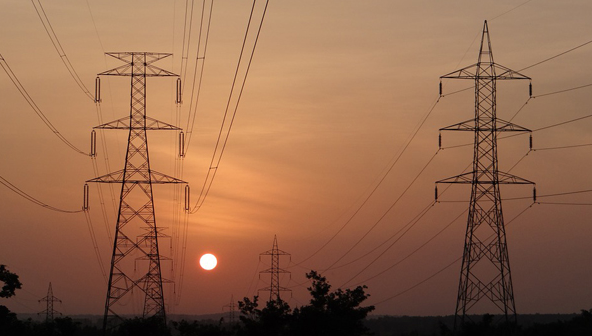 ‘Power For All’ is a government initiative that includes industries, commercial entities and households. Launched in June 2014 after Modi came to power, it seeks to provide 24X7 electricity to all at an affordable price by 2018-19. The objectives of which include ensuring reliable 24X7 supply of electricity to all consumers which include industries and commercial entities and households, supply adequate electricity to farmers for irrigation which shall be for 8-10 hours, and electricity to all households by 2018-19. 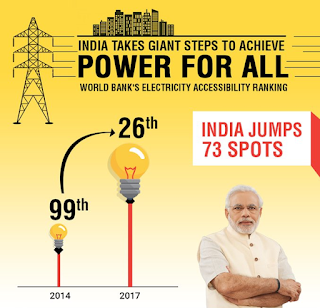 However, in its “Doing Business” ranking, the World Bank only measures the ease at which a local business can obtain a formal electricity connection. Significantly, the World Bank ranking is based on sharp improvement in getting electricity connection, leading to ease of doing business in two major cities – Delhi and Mumbai. 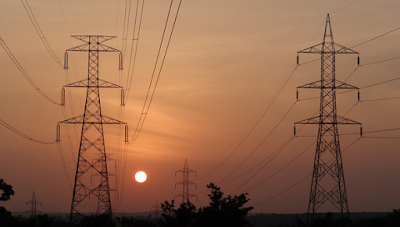 The Union power ministry does not say that the parameters include universal access of electricity in India.